“We are asking you for a timeline for the third time. You have held 54 meeting and still we do not have a timeline. Just like in a Hindi movie there is a dialogue tarik pe tarik, in this case its meeting pe meeting but no outcome. Do you want Delhi to collapse? Buses are drowning on Delhi Roads as we saw on Minto Road recently” an angry Justice Madan B Lokur today asked Delhi Police Commissioner Amulya Patnaik who had been summoned to the court. 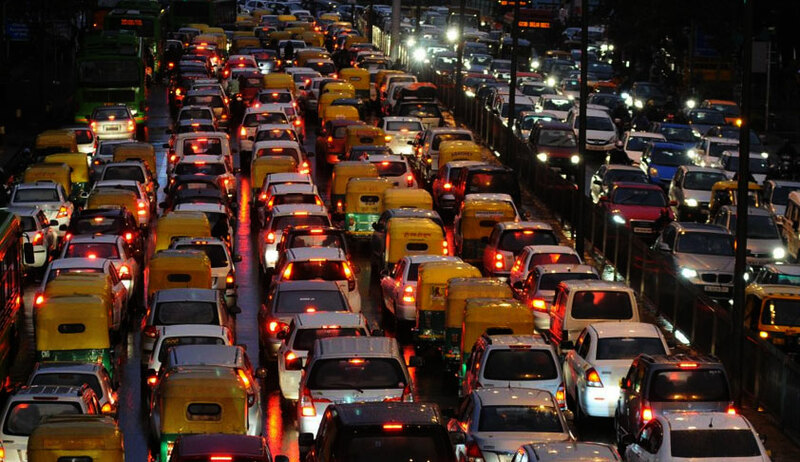 The bench of Justices Lokur & Deepak Gupta had on July 20 summoned Patnaik after it was angry over a statement made by the Delhi government that it will take two long years for removal of 77 traffic bottlenecks in the national capital identified by a court-appointed Special Task Force. The bench also asked Patnaik to remove congestion from inside police stations too were junk vehicles were found piled up and sought a policy in this regard too. The bench gave the police commissioner four weeks time to talk to all authorities concerned, including the PWD and spell as to what was the timeline for removing the obstacles on main roads and also to decide on a policy to remove the junk vehicles which had become breeding grounds for mosquitoes and also caused congestion. “Why should it take two years”, Justice Lokur had on July 20 asked Wasim Qadri, the lawyer for Delhi government who said: “ That much time has been sought since constructions of flyovers, underpasses and foot over-bridges would take time”. Justice Lokur then retorted:”That means the people of Delhi will have to face bottlenecks for another two-three years?”. “For the sake of people of Delhi, we are summoning the police commissioner to explain the failure to implement the recommendations of the task force”, the bench had said. The AAP-led Delhi government informed the Supreme Court about the timeline for removal of traffic bottlenecks at 77 congested corridors and said short-term measures like minor improvements in road geometrics to deal with the issue would take six to eight months. Elaborating the measures for removing such bottlenecks, the city government had said the same has been categorised as 'short-term' and 'long-term' measures and also gave reasons for traffic congestion in the national capital. In its affidavit filed in the top court, the Delhi government had said that under the long-term measures, six months time would be taken for approval of schemes and sanction of estimates for construction of subways, footover bridges (FoBs), underpasses and U-turns. Another 12 months would be needed for execution of work after the grant of approval.